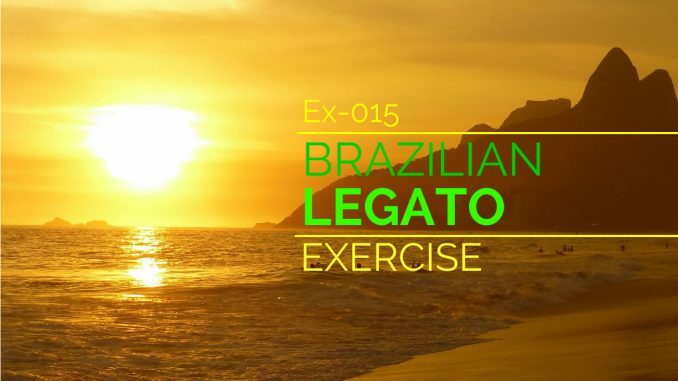 Learn to play fast and smooth with this fun legato exercise by Dave Dohearty. In music, legato means to play notes smoothly and connected. To a guitarist, this generally means picking as little as possible, and relying on left hand techniques such as pull offs, hammer ons and slides (also known as slurs) to produce notes. 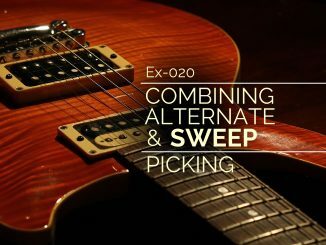 Since we don’t have to synchronize the picking hand with the fretting hand it’s much easier to get fast, fluid lines using these techniques, but legato presents some unique challenges. Volume is one of the first issues we run into. The picked notes tend to be much louder than the slurred notes, which creates accents where we may not want them. Pay close attention to your picking velocity and try to keep the volume of the notes consistent. In the left hand, make sure the hammer on’s and pull off’s are as loud as possible without creating undesirable snapping noises. Be sure to place the finger tips directly behind the frets to produce clear notes with the least amount of effort. Time is usually the next problem. In legato technique, the left hand is responsible for the notes and the rhythm! Play with a metronome or a backing track and strive for perfect time. For most people, the pick is much more reliable rhythmically, so it may help to pick an exercise first and introduce legato techniques after you know what it feels/sounds like to play it accurately. Muting unwanted string noise becomes very important as well. 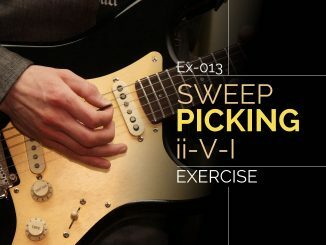 Because these techniques are generally quieter than conventional picking, sounds that may not have stood out before could muddy things up. While your left hand is doing most of the musical work, your right hand is largely free to mute any strings that might ring sympathetically, or get hit by a stray pull off. There are two exercises notated below, A and B.
individual hammer on’s and pull off’s to make sure the finger tips are landing squarely behind the frets. This exercise works as a good left hand stamina builder! If you feel your hand, wrist or arm getting tense or sore, concentrate on relaxing those muscles. The B exercise is applied to a lick in E minor. It starts with a wider stretch than the first exercise, so be sure to lower the left hand thumb on the back of the neck. The second measure contains a slide from the C note to the B note (fifth fret slides to the fourth fret on the third string). 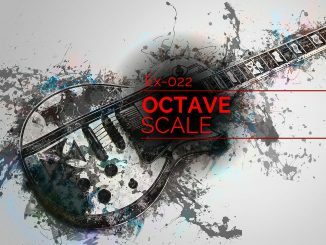 Slides are notoriously difficult to execute with good rhythm, so keep on eye on your time here. Try to land the last A note (fifth fret on the first string) with your middle finger, this will make a smoother transition as you repeat the lick. P.S. If you guessed the style of the backing track, you get a gold star! It’s a “baiao” from Brazil. This exercise reminded me of Bill Connors’ fusion work from the eighties, who was fond of adapting South American grooves to a rock/fusion trio setting.